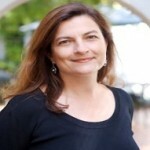 Adriana Kahane is the President and Founder of Dream Foods International, LLC based in Santa Monica, California. She manages a team of 9 employees of a 8,5 mill USD natural and organic branded food company (www.dreamfoods.com). She developed 2 brands for the company: Italian Volcano and the Volcano Lemon Burst/Volcano Lime Burst organic juice lines. 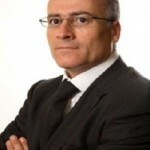 Giuliano Caldo is Vice President of Horizon360, McKinsey & Company’s unit focusing on IT diagnostic and tools for enterprises and IT service providers, and is based in Rome, Italy. 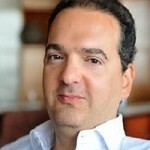 In particular, Giuliano is in charge of all of McKinsey’s IT diagnostics and benchmarks for enterprise. Before joining Mc Kinsey, Giuliano worked for over four years in Procter & Gamble where he was IT manager of P&G’s paper plant in Lucca, Italy. Giuliano is an expert in IT diagnostics and IT performance management, especially when applied to financial institutions, telecoms and industrial companies. 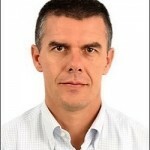 Marco Bertagni is Executive Director of Bertagni Consulting , a consulting company focused on International Trade, Lobbying and Geographical thinking. 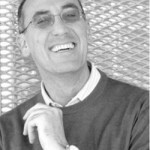 Marco is an expert in Wine and Spirits sector and in the Confectionary as well and prior was Director General of AssoDistil, the Italian Association of alcohol producers and manager at AIDI, the Italian Association of chocolate and confectionary producers. Prior to that he was Export manager and Area Export manager respectively for Mingozzi Packaging team srl and Automelody Spa. Davide Terrone is Specification Sales Manager Middle East of Grace Construction, a multinational company focusing on the manufacture of construction material. He is based in Dubai and covers all Middle East. 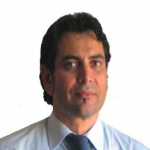 Davide is an expert in Construction Materials, Waterproofing Systems & Building Envelope Systems. 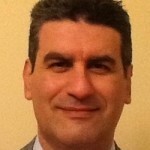 Before joining Grace Construction, Davide worked at Flag Soprema Group in Italy as Technical and Sales manager. 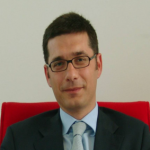 Roberto Pera is Attorney- at Law and Managing Partner at Roedl& Partners – Rome , an international German rooted law firm. His areas of expertise are: corporate, antitrust, commercial and renewables. Roberto is a representative of the Italian-German Chamber of Commerce in Rome and in the Lazio Region and listed amongst its Arbitrors. Before joining Roedl & Partners, Roberto worked for many years with Anglo- American law firms as partner and senior associate. Roberto holds courses in international marketing and export management at several business schools and universities. Before joining Palini, Roberto worked for ten years at Sherwin Williams , a coating US multinational as Sales Manager Europe, Africa and Middle East. Prior to that he worked at Effer Spa, a mechanical Italian company, for five years as Marine Division manager. 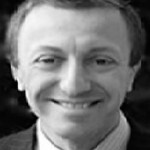 Paolo Dionisi is an International Affairs Expert and former Italian ambassador in Uae and Oman. He presently hold a position of International Affairs Consultant at the “Gemelli” Hospital in Rome and prior served as Head of the Economic and Commercial desk at the Italian Embassy in Beirut (Lebanon) and as Chief of staff of the Ambassador at the Italian Embassy in Bonn (Germany). Paolo is an expert in International Affair especially with the Middle East Area. Fabio Lucisano is Import/Export manager at Dedem Automatica Spa where he manages the entire import/export process including supervising customs procedures and seek the requisite approvals, permissions, and clearance certificates from governing authorities prior to transporting goods. Fabio is an expert in Import/export laws and regulations and familiar with documentation and record keeping requisites. Antonino Federico is International Sales Area Manager at Ondulit Spa , a company specialized in Engineering, Construction and Infrastucure , with responsibility for Asia, Africa, Middle East, Brazil and Cuba. Antonino is an expert in Construction Materials for infrastructure and, before joining Ondulit, he was Export Area Manager at Sherwin Williams Automotive Europe, a USA multinational operating in the paint market. Guido is responsible for Marketing, Sales & CRM at Massimo Zucchi S.A. (Genève), a design boutique partnering with leading Luxury Brands (watches, jewellery, fashion) in developing new corporate image & visual identity, innovative concepts & designs (product, packaging, promotion), and point-ofsale & exhibition-space architecture, while also offering supply-chain advisory & management services. The list of Massimo Zucchi S.A.’s most prestigious clients includes brands such as Rolex, Graff, Bulgari, Buccellati, Chaumet, Corum, De Grisogono, Harry Winston, Jaeger LeCoultre, Bugatti, Pininfarina, Samsung.